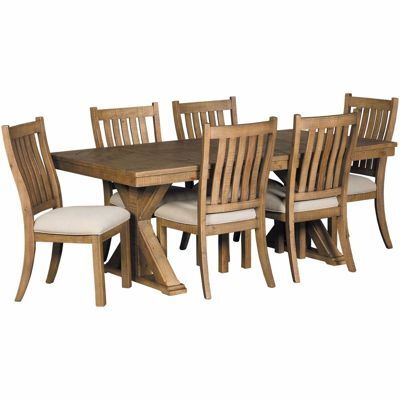 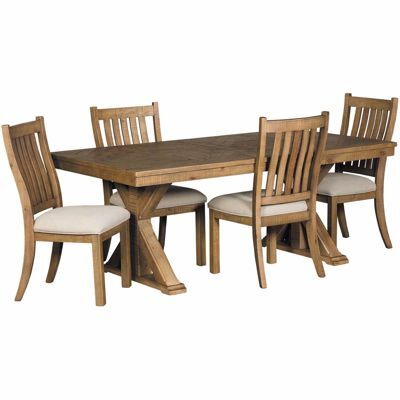 Grindleburg 5 Piece Dining Set by Ashley Furniture. 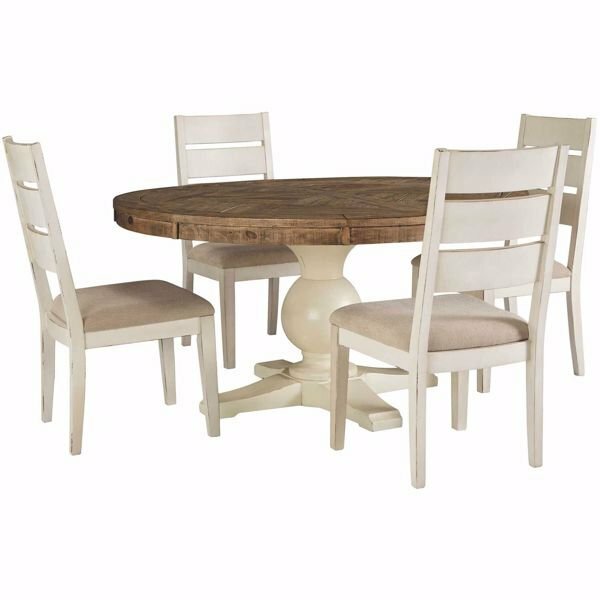 Set includes 1 round 60" diameter two-tone table, 4 ladder back side chairs. 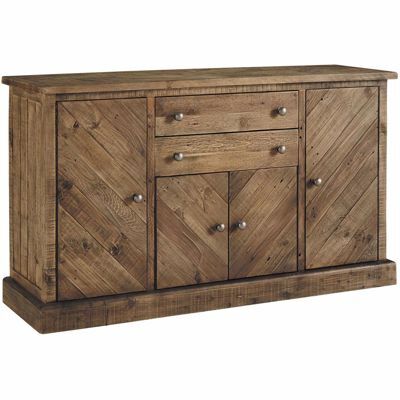 Made with Reclaimed Pine solids. 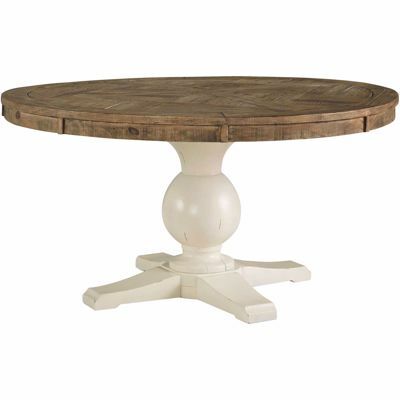 Table top in trendy grayish brown finish. 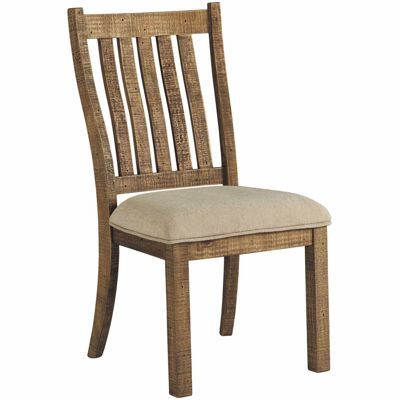 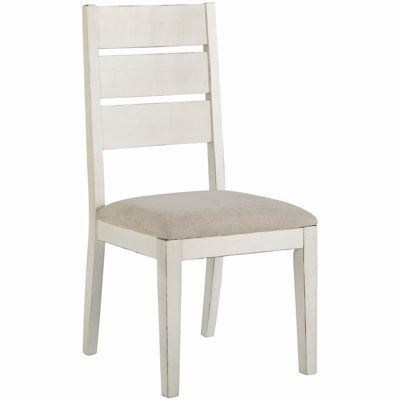 Chairs have Nuvella performance fabric. 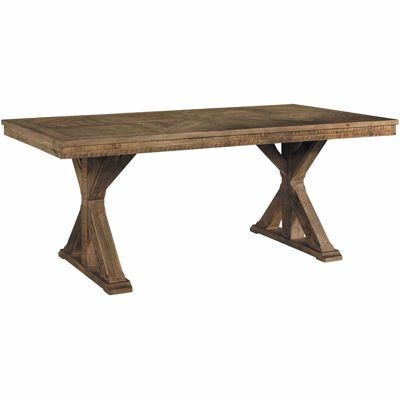 Cleaning code :WS Table requires assembly if picked up on AFW.